Digital Deluxe is a complete edition with all DLC. Editing configuration files manually makes them corrupted upon game launch. 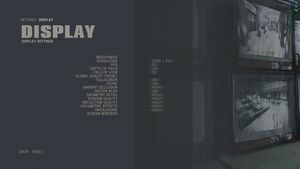 HUD is centered for 16:9. UI doesn't scale well in 4K. TAA. Setting the AA option to High results in heavy blurring of the image. See Blur Removal and graphics improvement to avoid the problem. Choice of 30, 60, or unlimited FPS. Set FPS cap to unlimited. See Run the game at screen refresh rate. Default bindings bind multiple actions to single keys. This cannot be done if using custom bindings. Game frequently will not launch from Steam Launcher for a large number of players. No known work-around other than to continue clicking Play repeatedly until game starts. Game supports three different levels of aim assistance when playing with a controller: High, Low and Off. High and Low work as intended (high snaps towards the nearest target, low slows down crosshairs when near an enemy), but Off behaves exactly the same as Low. This also happens on consoles. Game ignores Windows settings and forces 60 Hz while in fullscreen for users with higher refresh rate monitors. Install Special K to fix the forced refresh rate. Change the frame rate cap from Unlimited to 30 or 60 FPS. Reduce both the controller and mouse sensitivity under Options -> Controls in the Pause menu. Un-tick Enable the Steam Overlay while in-game. Nvidia and Intel video cards are officially unsupported on macOS. ↑ 1.0 1.1 File/folder structure within this directory reflects the path(s) listed for Windows and/or Steam game data (use Wine regedit to access Windows registry paths). Games with Steam Cloud support may store data in ~/.steam/steam/userdata/<user-id>/360430/ in addition to or instead of this directory. The app ID (360430) may differ in some cases. Treat backslashes as forward slashes. See the glossary page for details. "You talked about the engine and in this point of view it looks really good, using the same engine as in the second installment? Yes, it's our own engine and is basically the same. 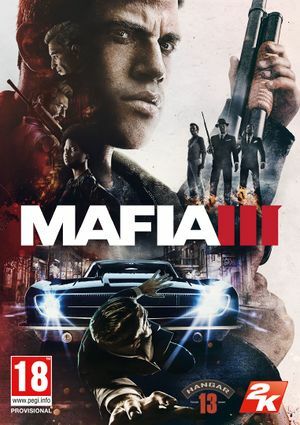 Of course, during the development of the game is changing and improving, but we use it only for Mafia III, so we really consider it as our own." ↑ Mafia Game on Twitter: "#Mafia3 is coming October 7, 2016. Watch the One Way Road Story Trailer now at https://t.co/TlxOWfKdxt https://t.co/VNjRaKiBhn"